Some interesting things have been coming to light in the reviews going on at the Horniman. Here’s an object that our Anthropology review team uncovered and asked me to identify. It looks a bit like a bird of prey with a gimp mask, but it’s actually a charm from Nigeria. 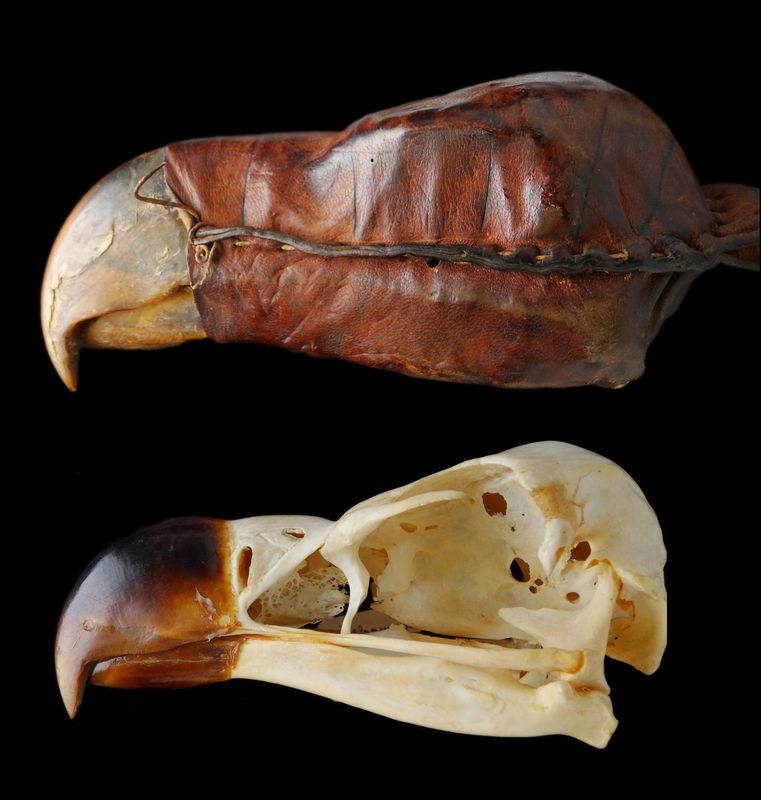 Fortunately, I’d just gone through our bird skull collection and I immediately recognised this becowled bird skull as being from a Lappet-faced Vulture, so it was an easy identification – particularly since the skull is 18cm long and from Africa, which helped narrow down the possibilities considerably! We’re also in the middle of our first collections Bioblitz at the moment, so expect to see a lot of activity on the @HornimanReviews Twitter feed! Great item, the lapped-faced vulture is probablyn the greatest skull in my collection as well, love it! They are beautifully robust. Ours was identified as an Andean Condor from Bolivia on its original label – someone at the Wilhelm Schluter workshops must have really messed up the labels!